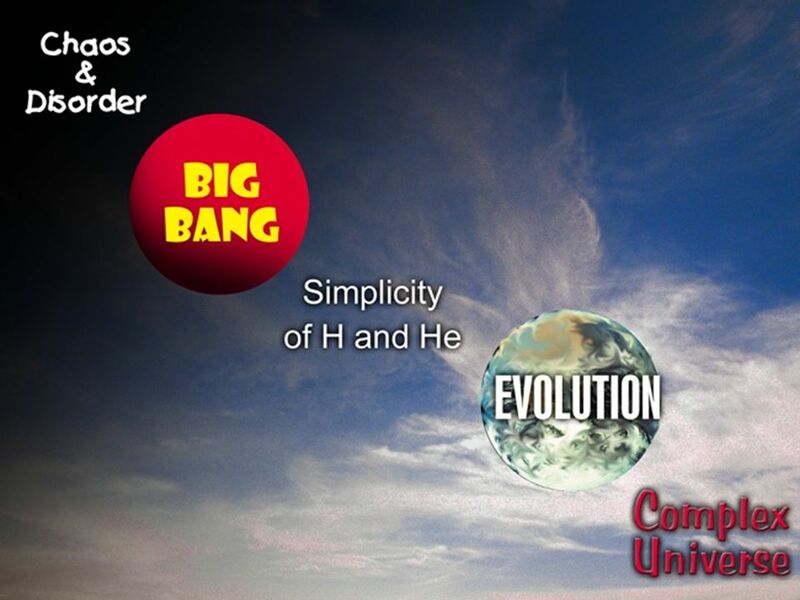 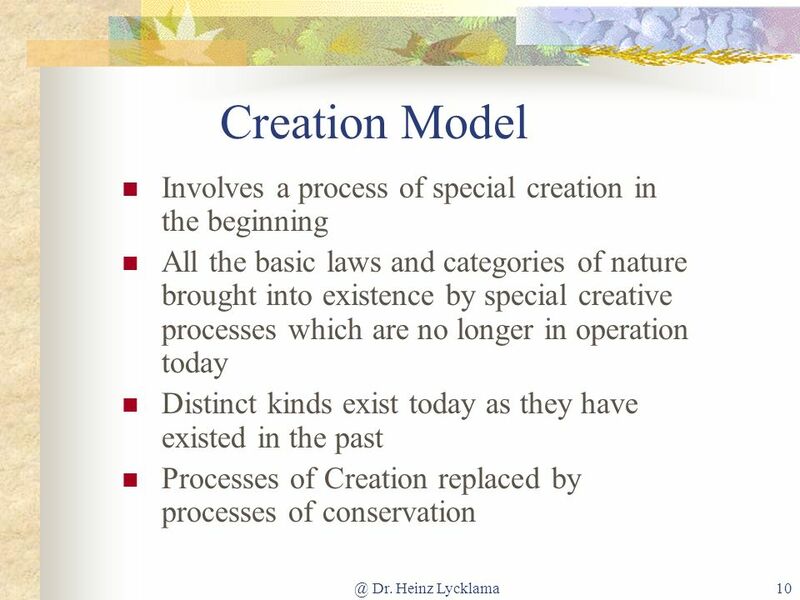 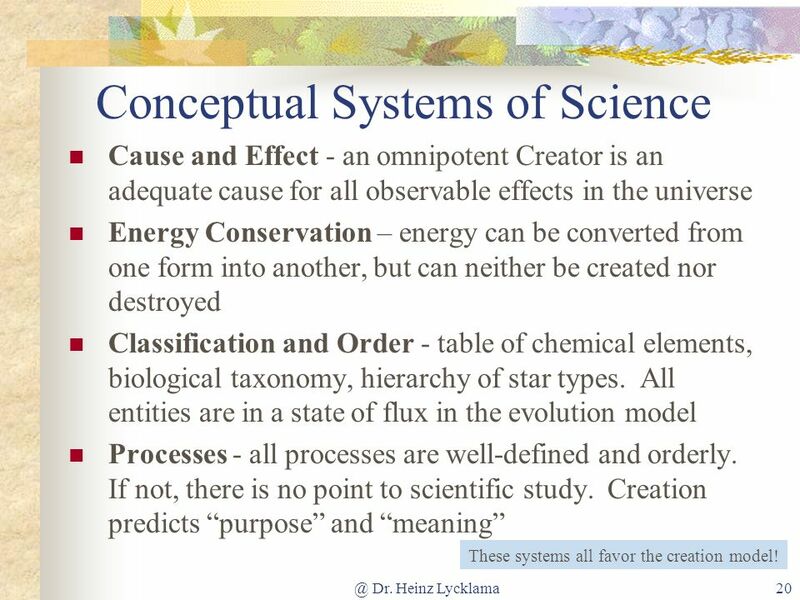 1 What Does Science Say About Creation? 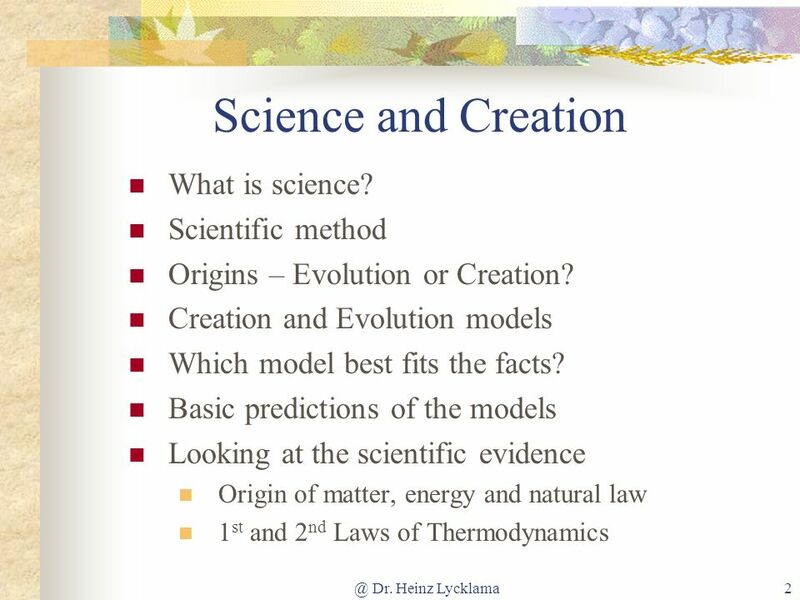 3 What Does Science Have To Say? 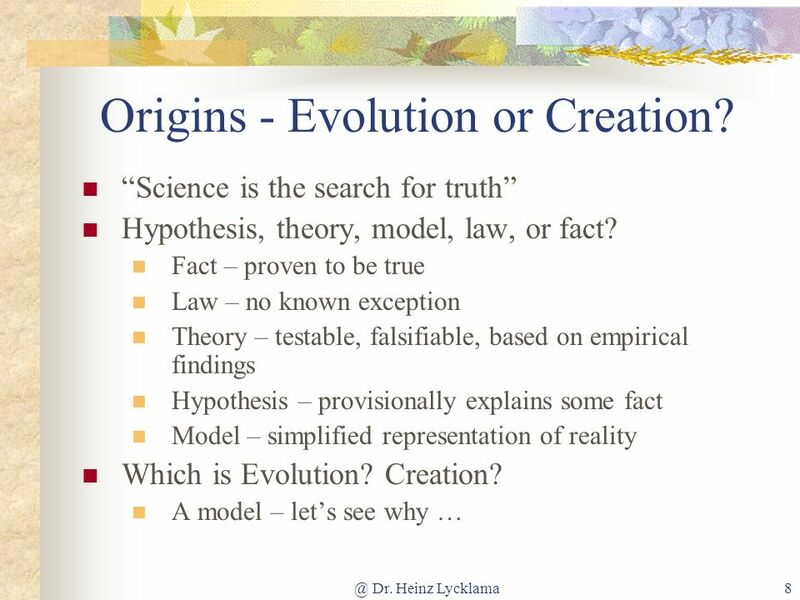 8 Origins - Evolution or Creation? 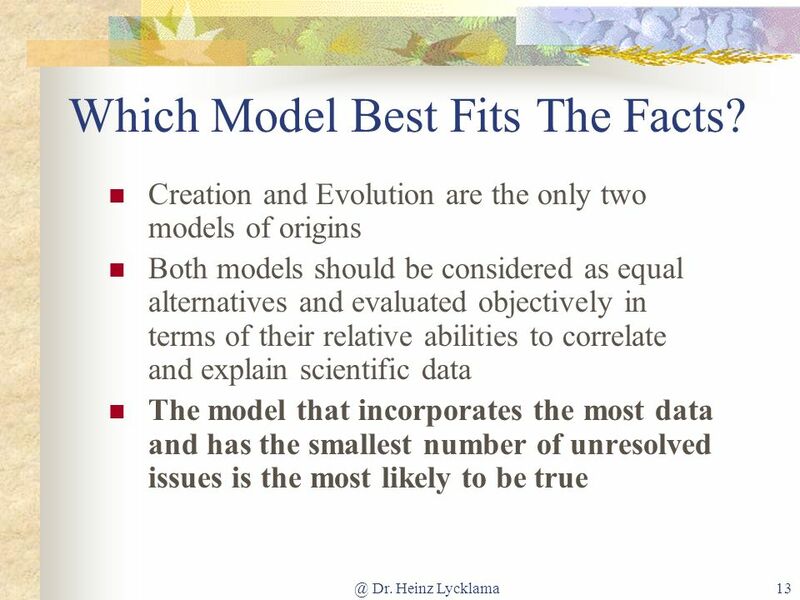 13 Which Model Best Fits The Facts? 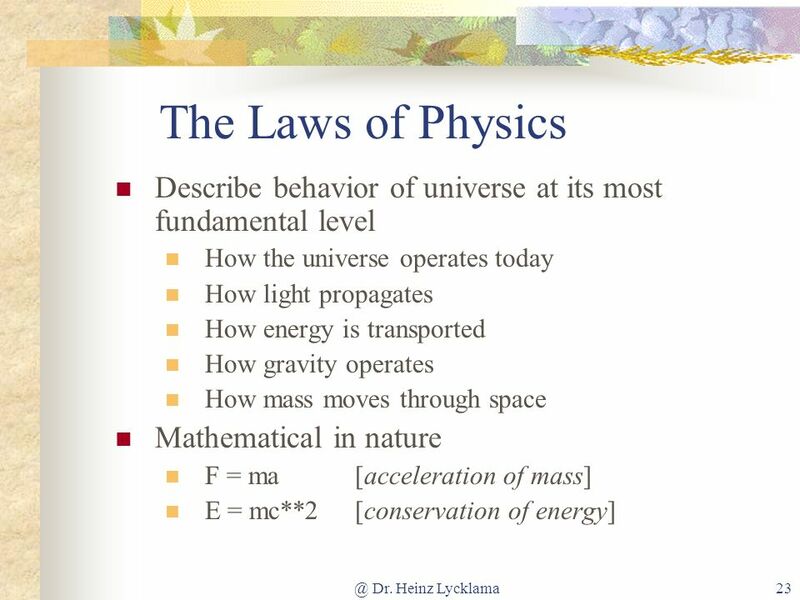 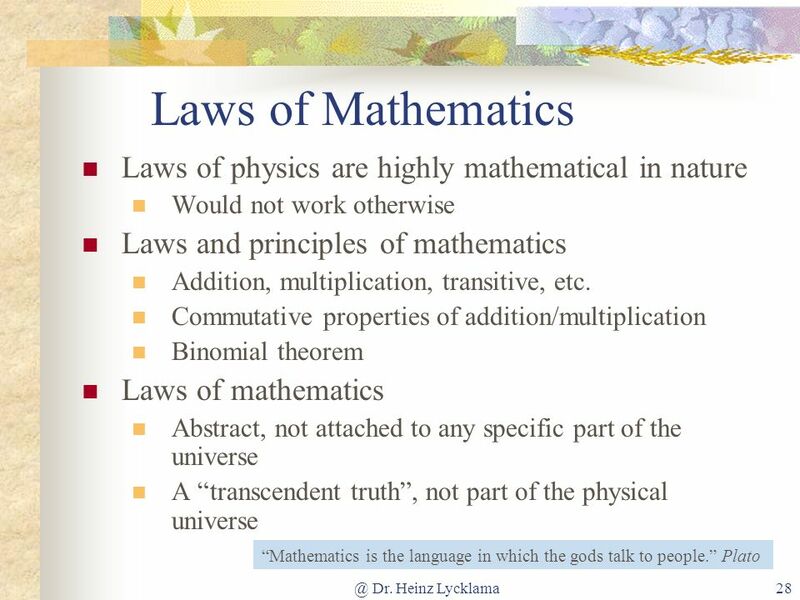 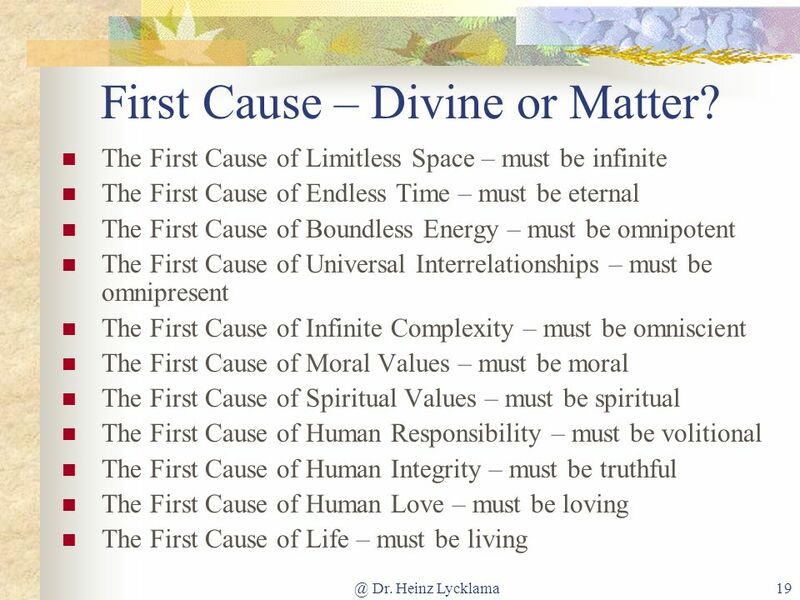 19 First Cause – Divine or Matter? 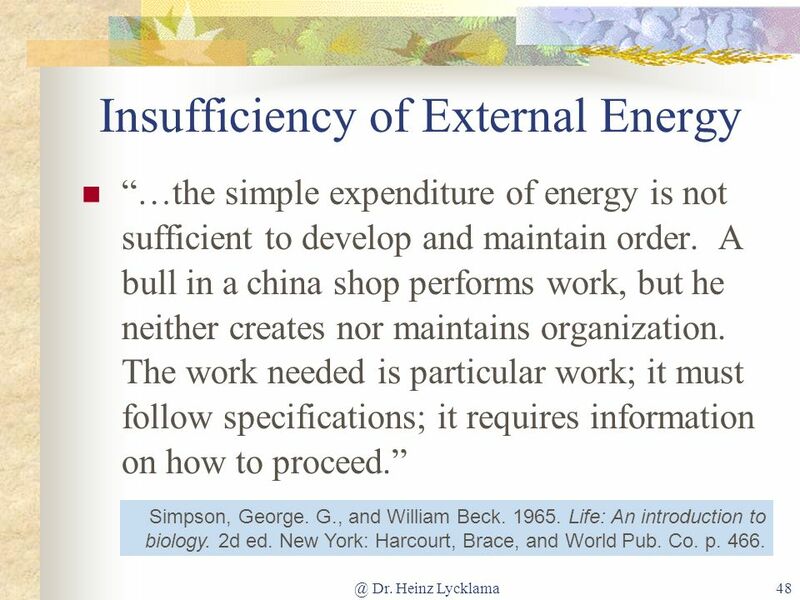 34 Blum, Harold 1955. 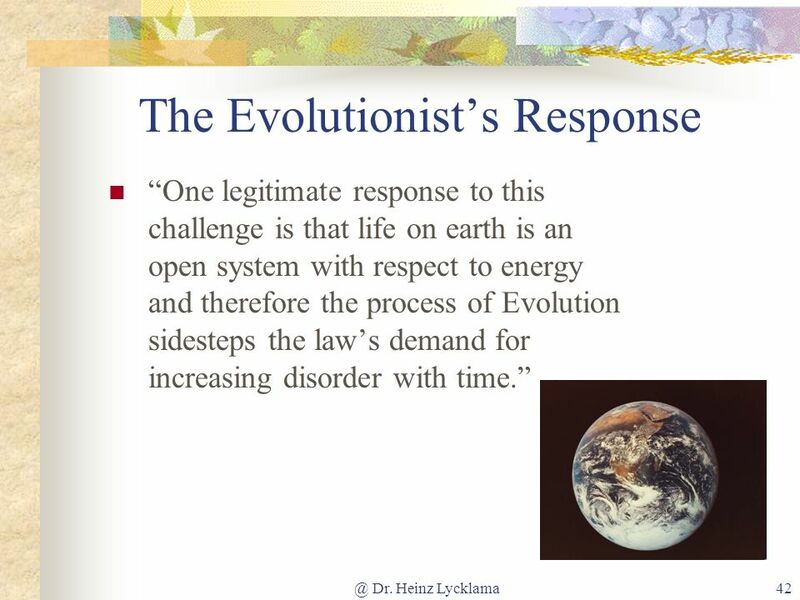 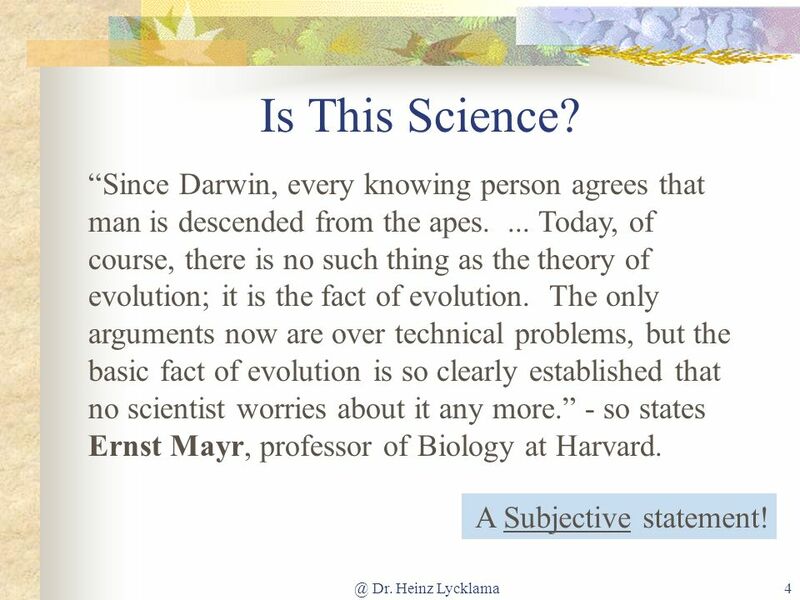 Perspectives in Evolution, American Scientist 43. 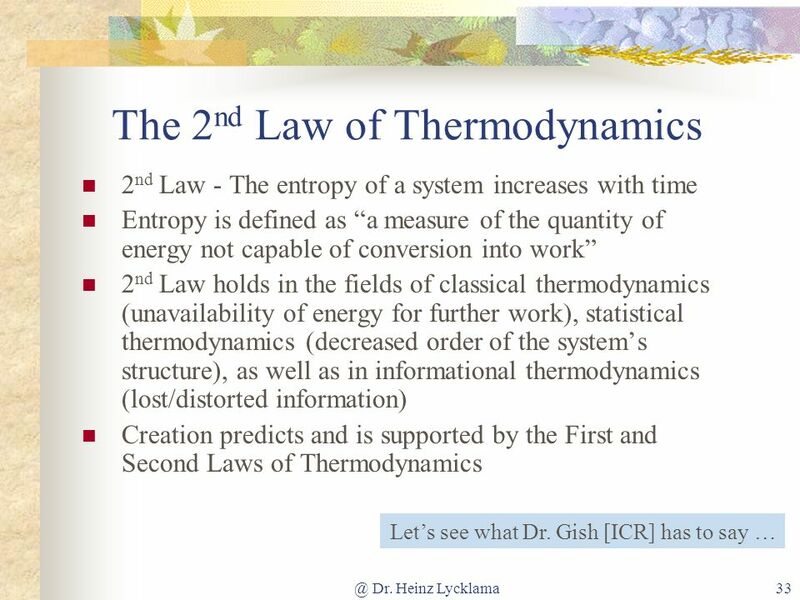 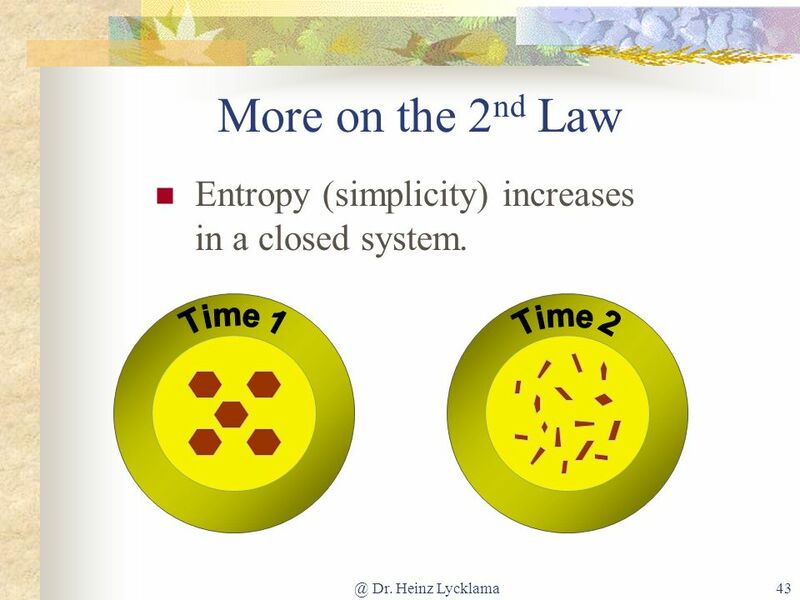 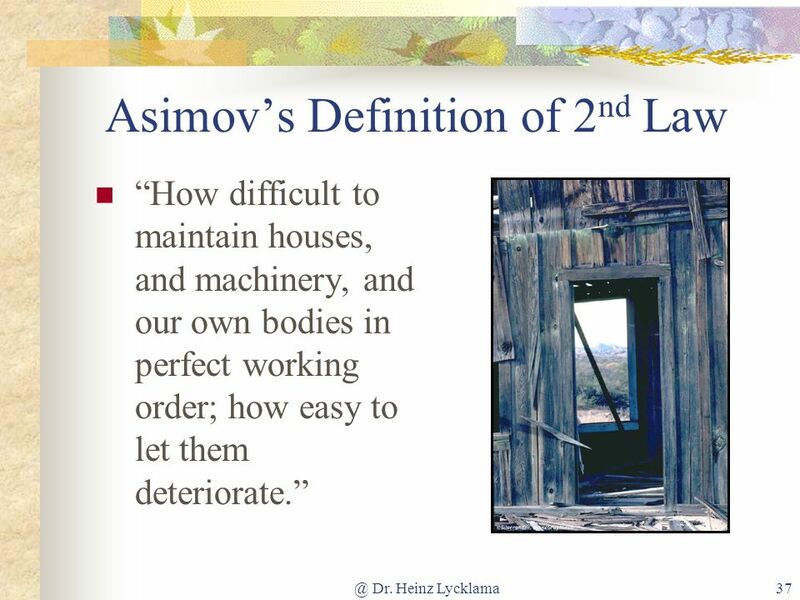 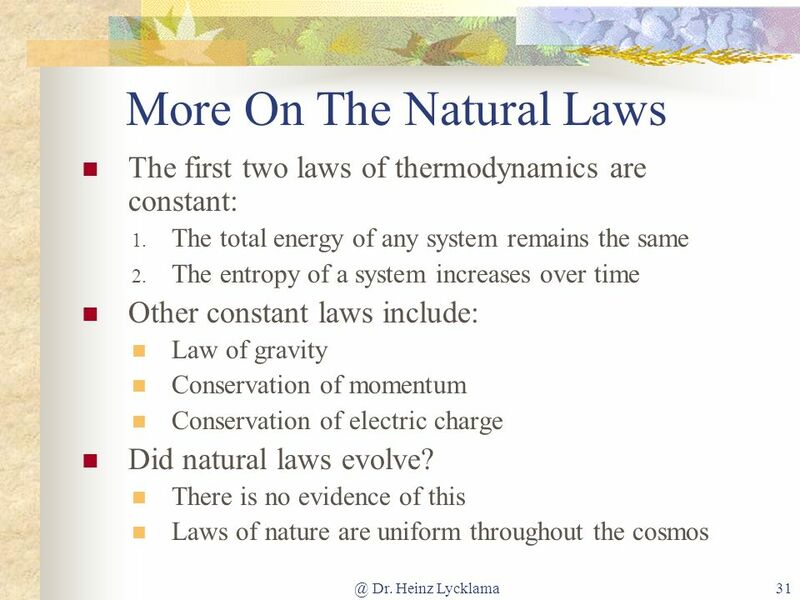 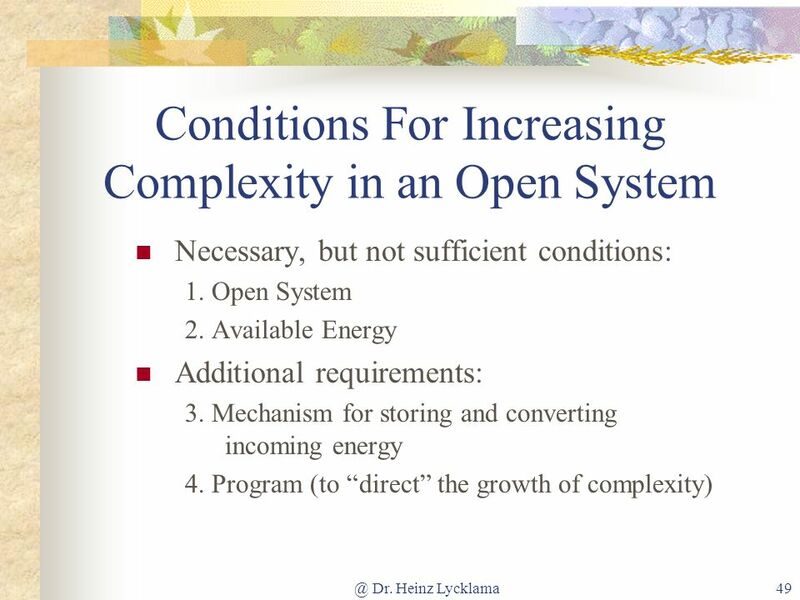 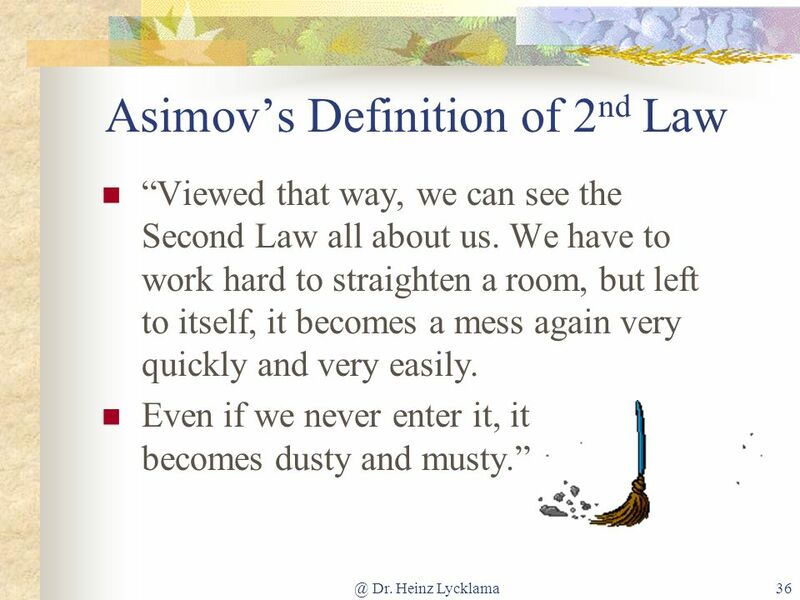 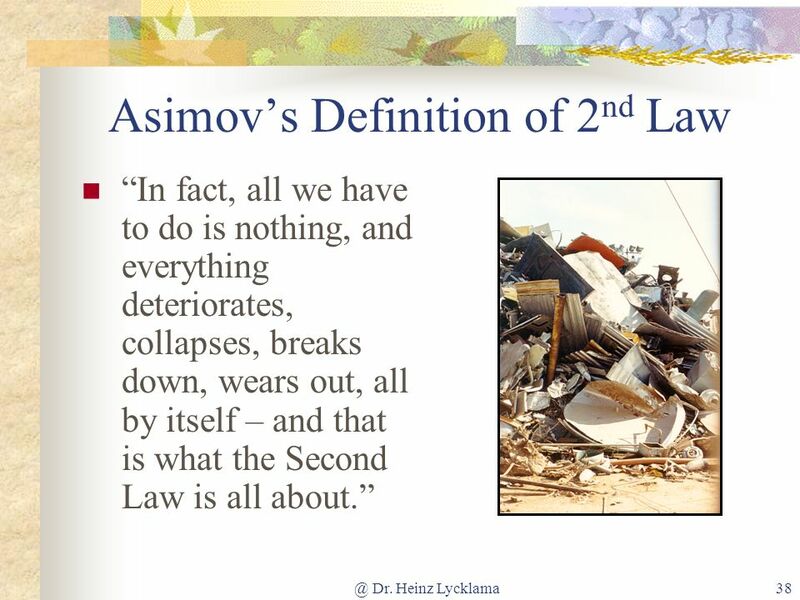 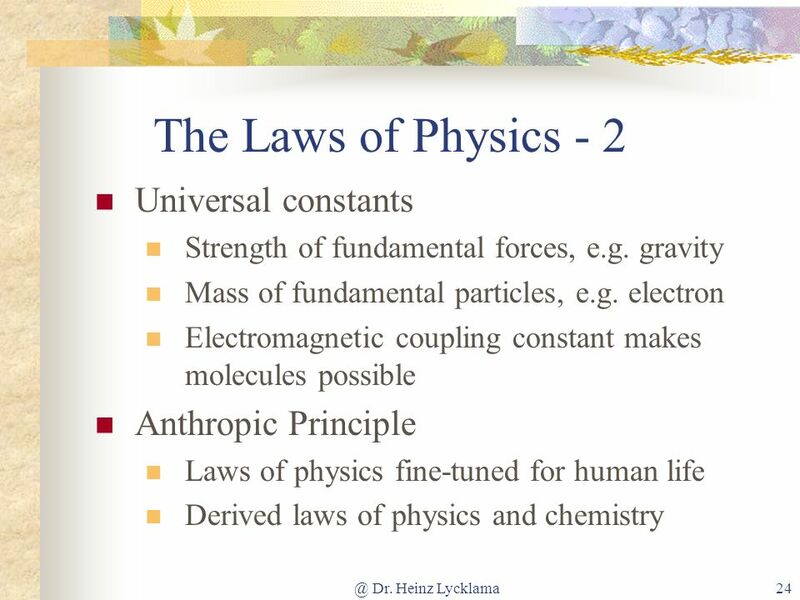 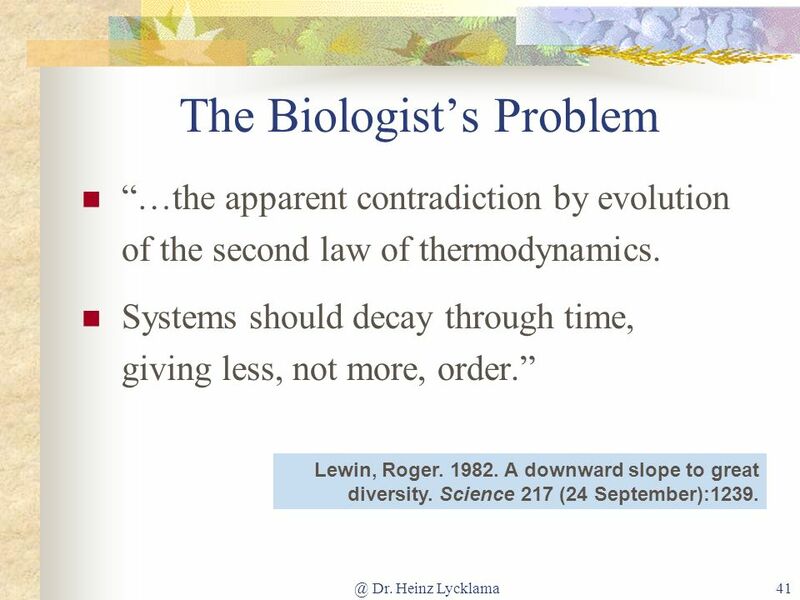 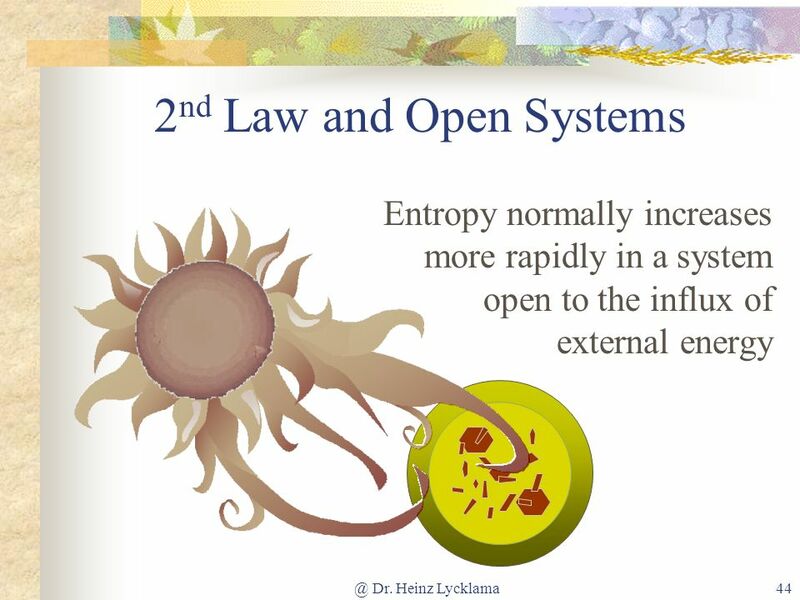 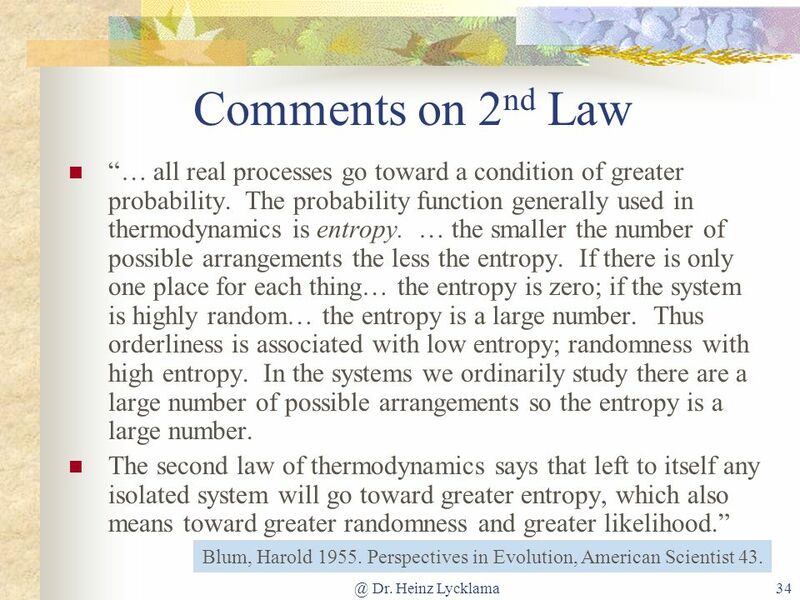 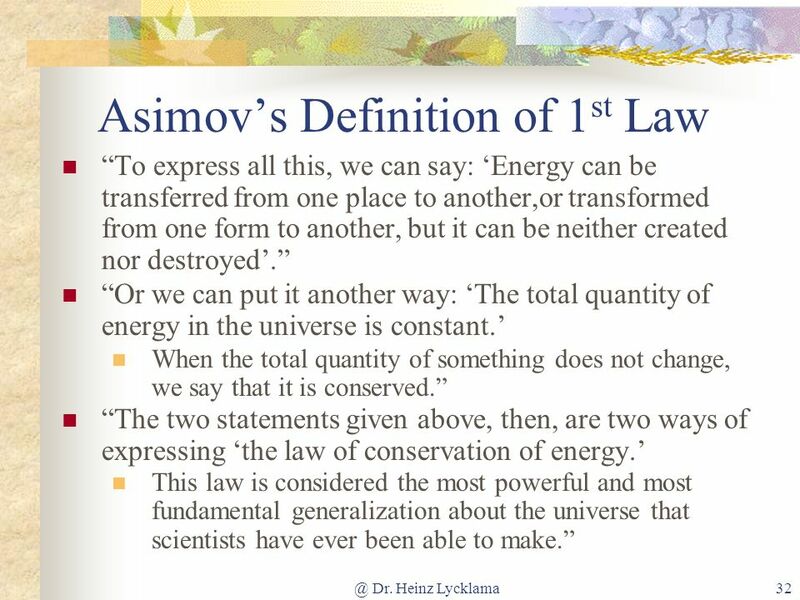 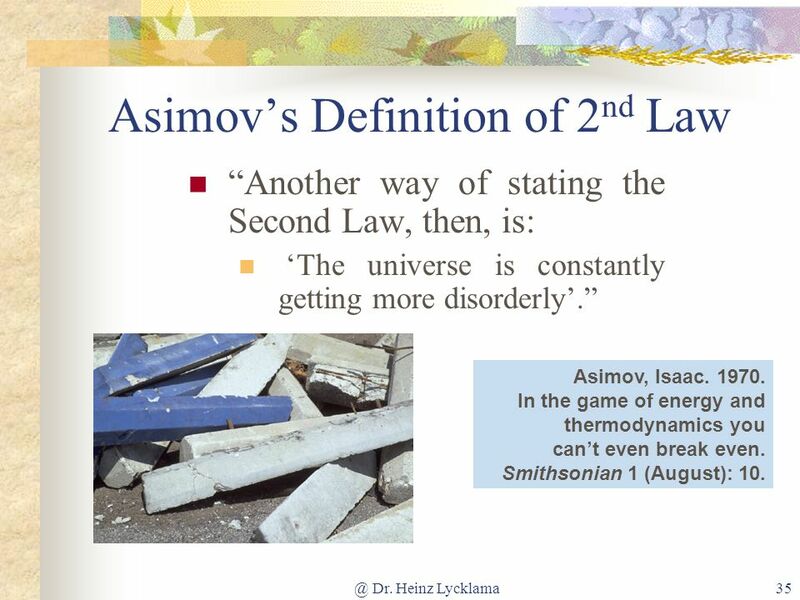 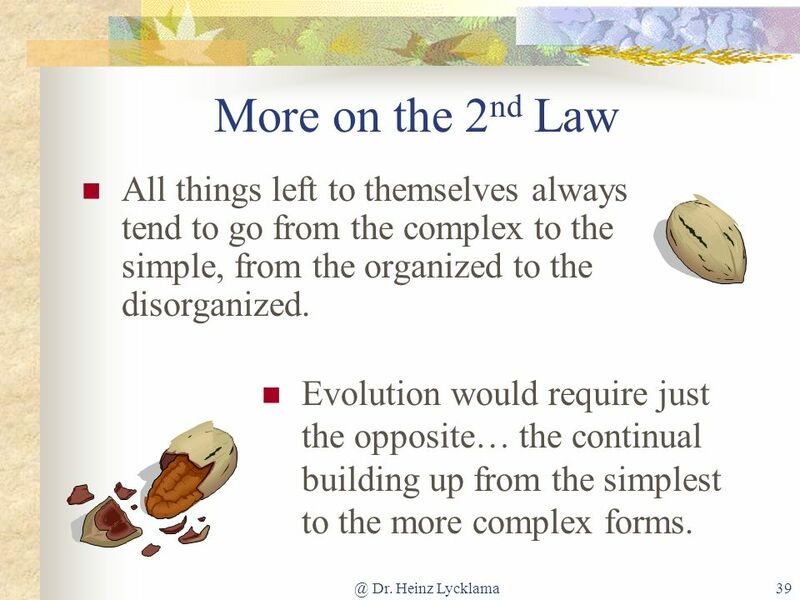 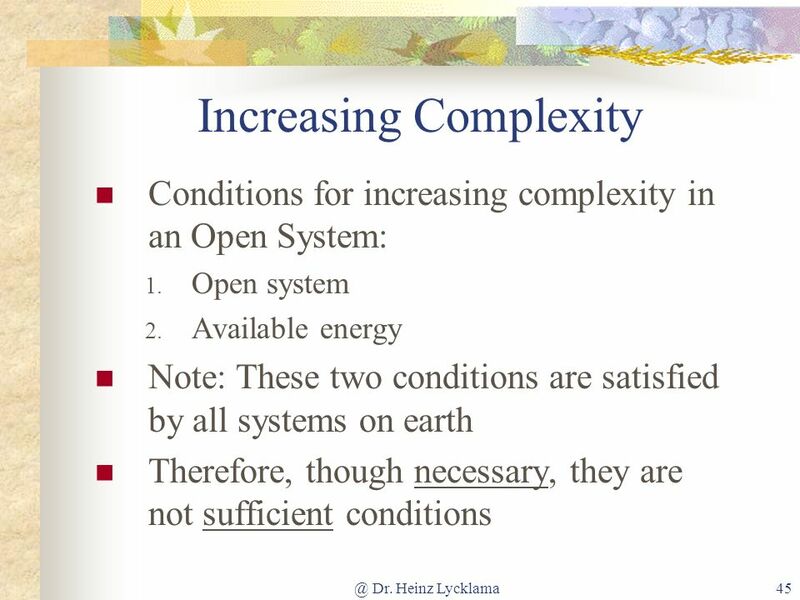 43 More on the 2nd Law Entropy (simplicity) increases in a closed system. 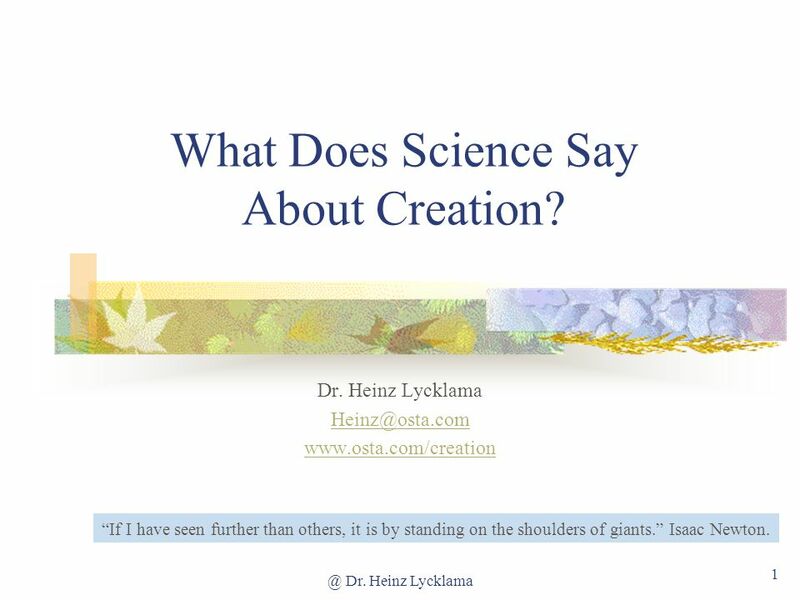 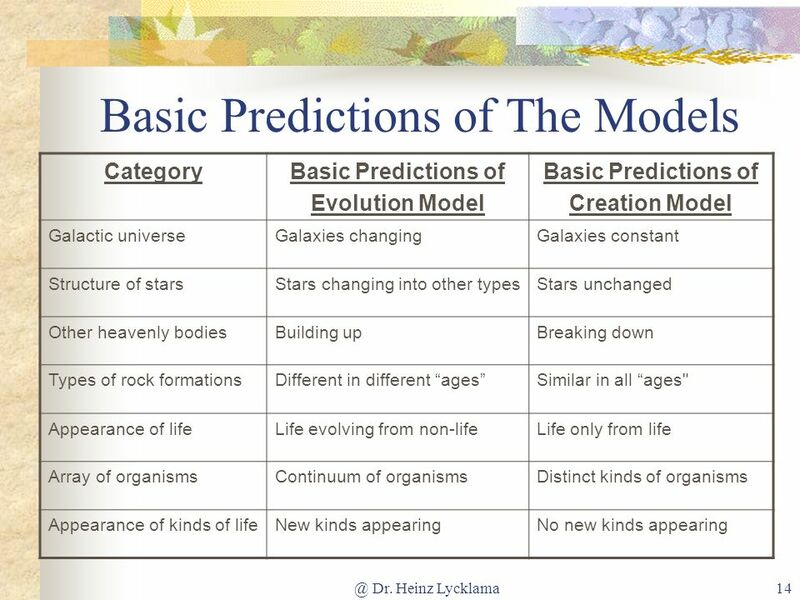 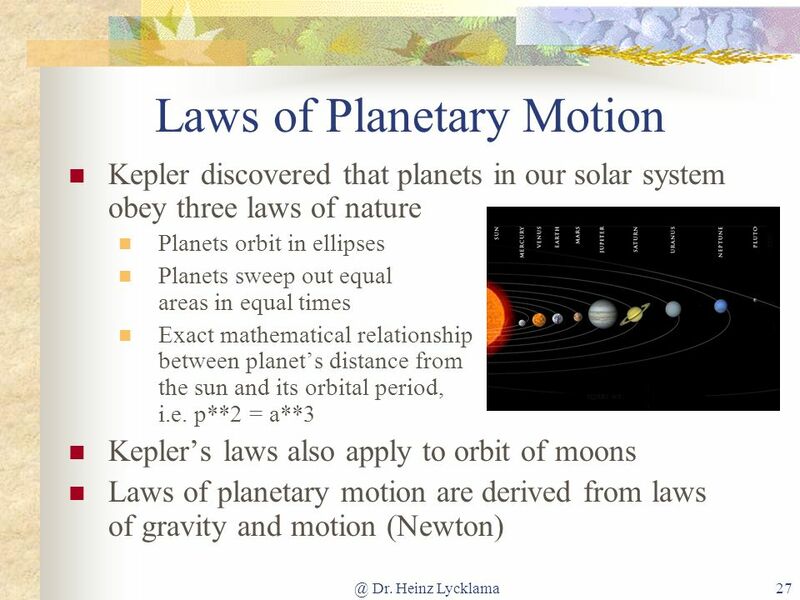 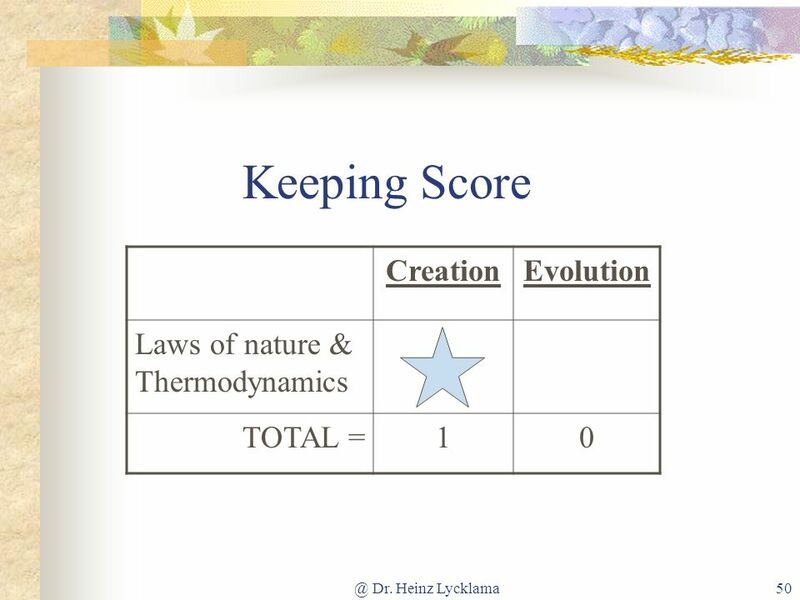 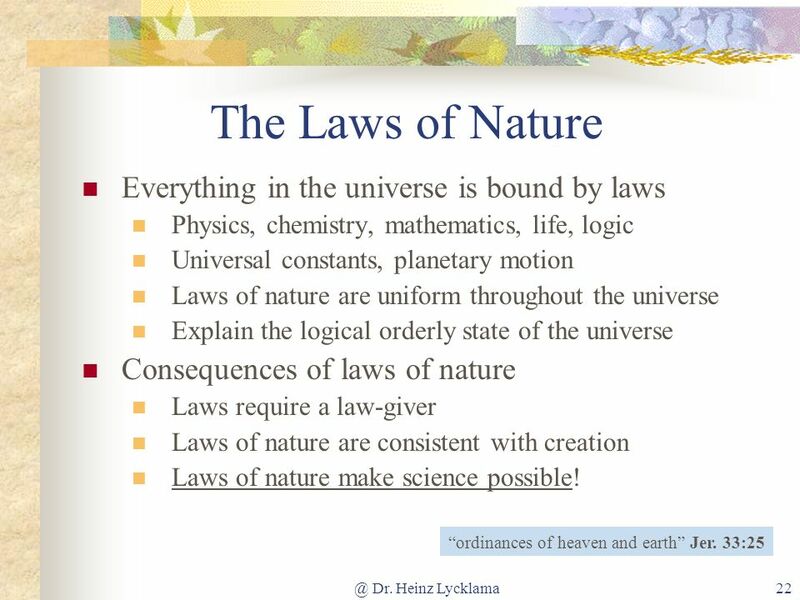 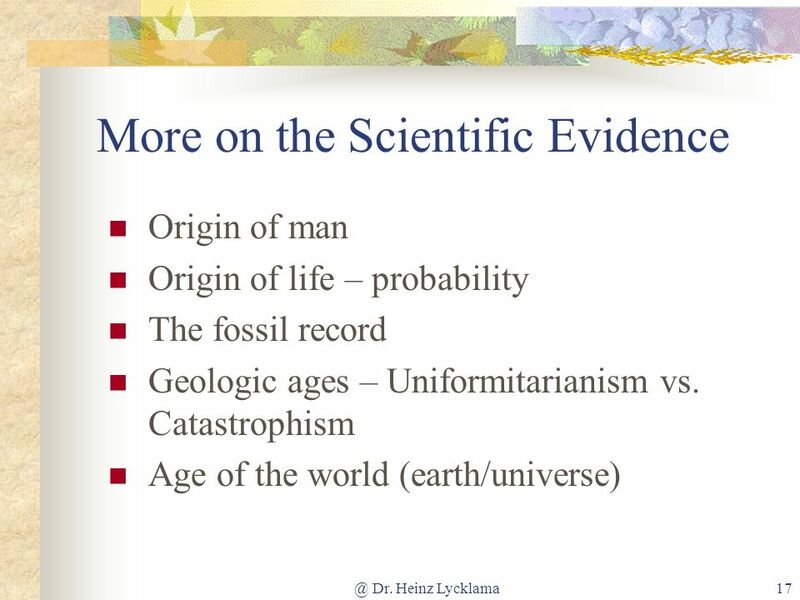 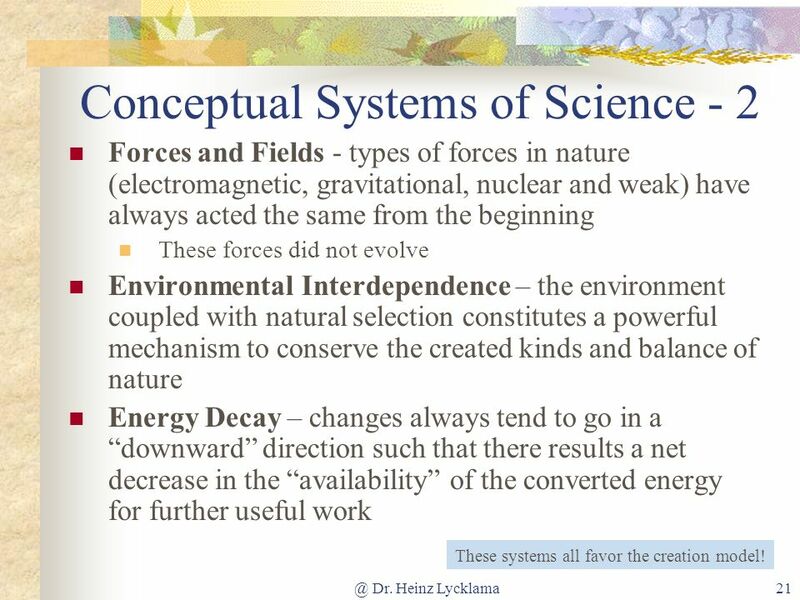 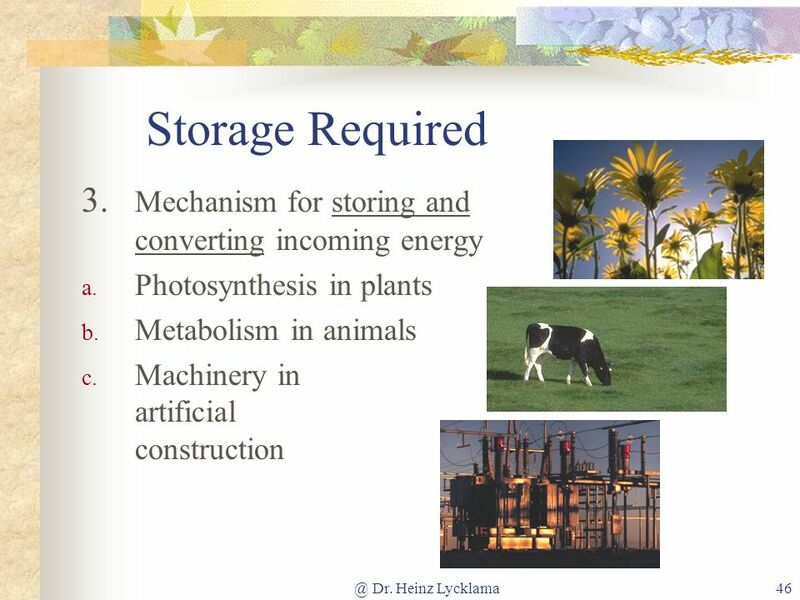 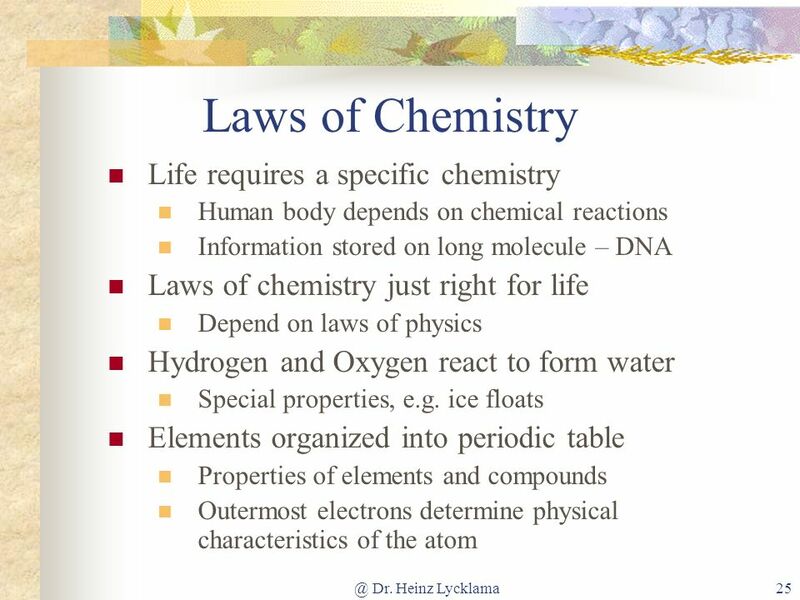 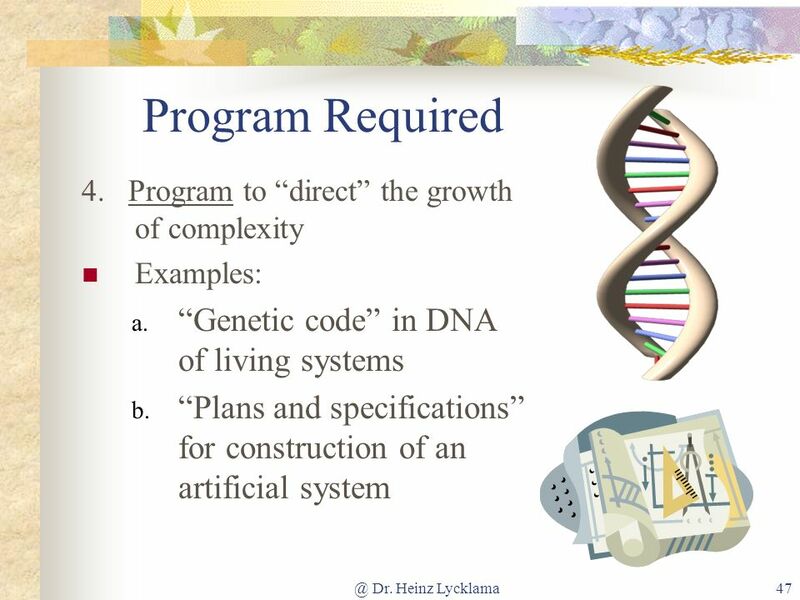 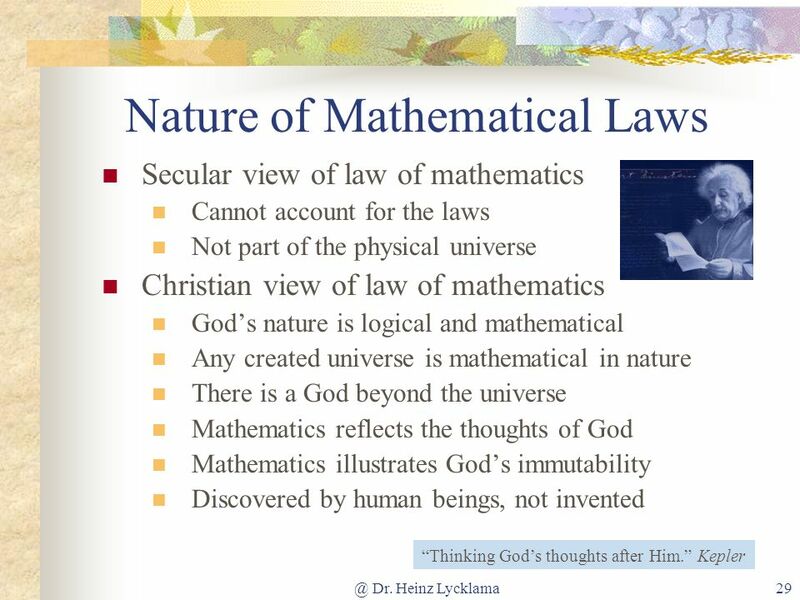 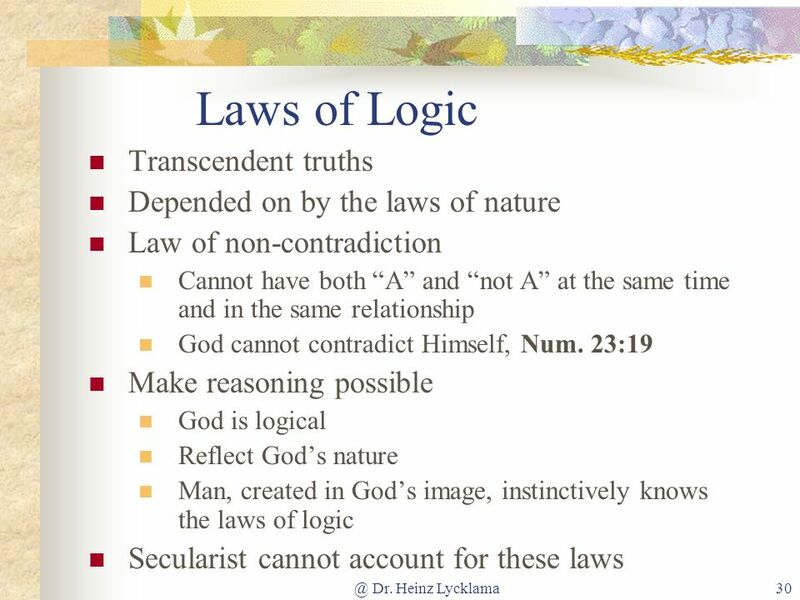 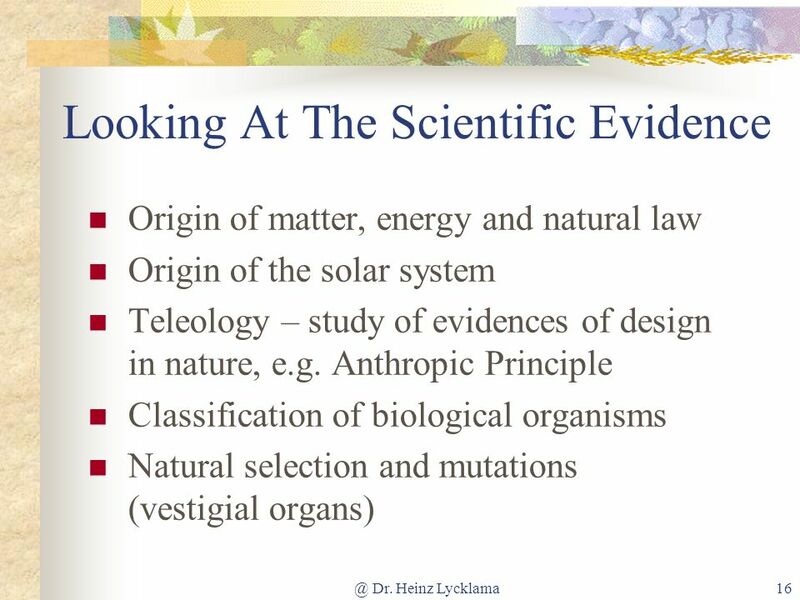 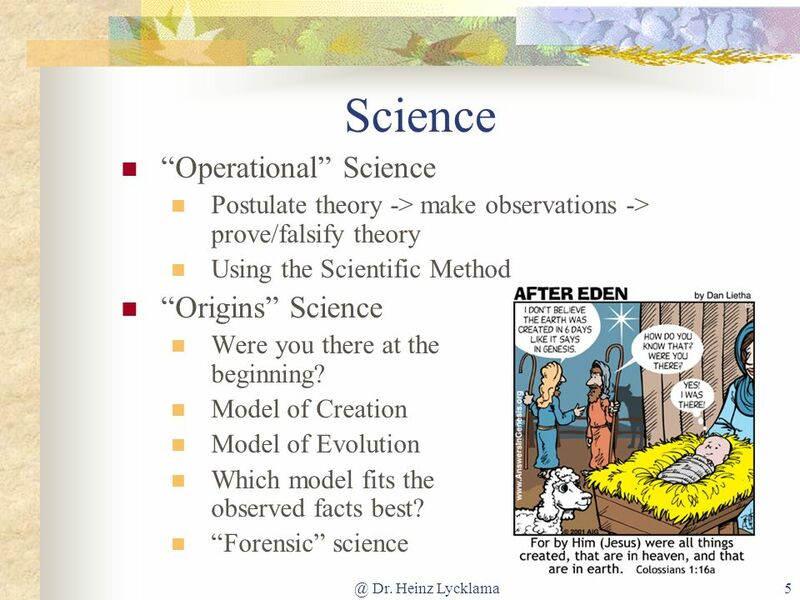 Download ppt "What Does Science Say About Creation?" 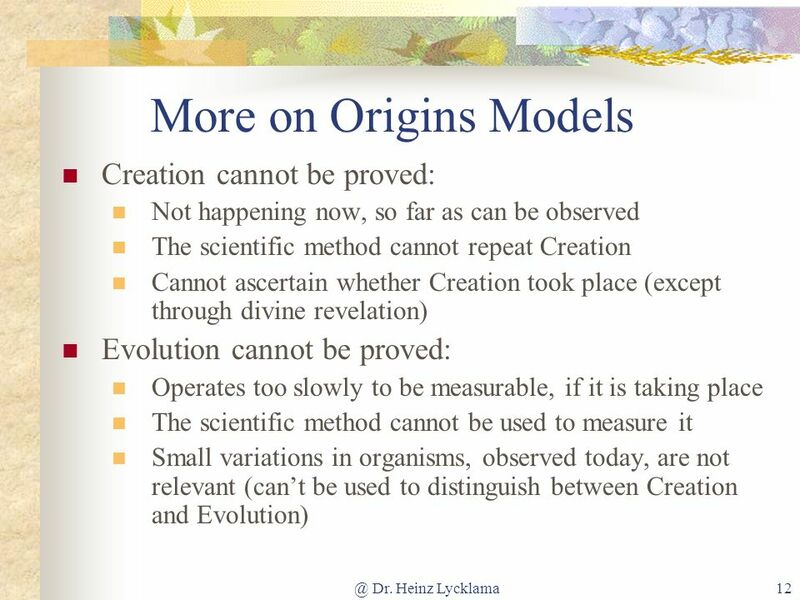 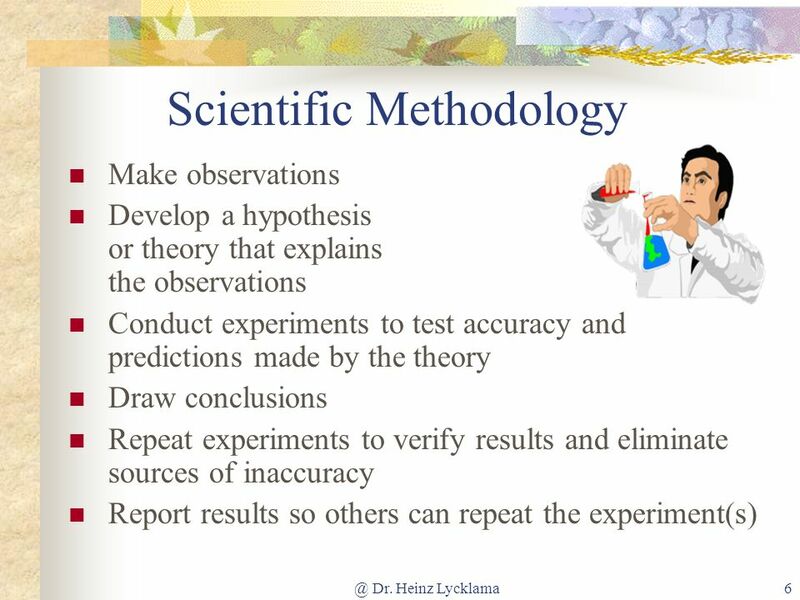 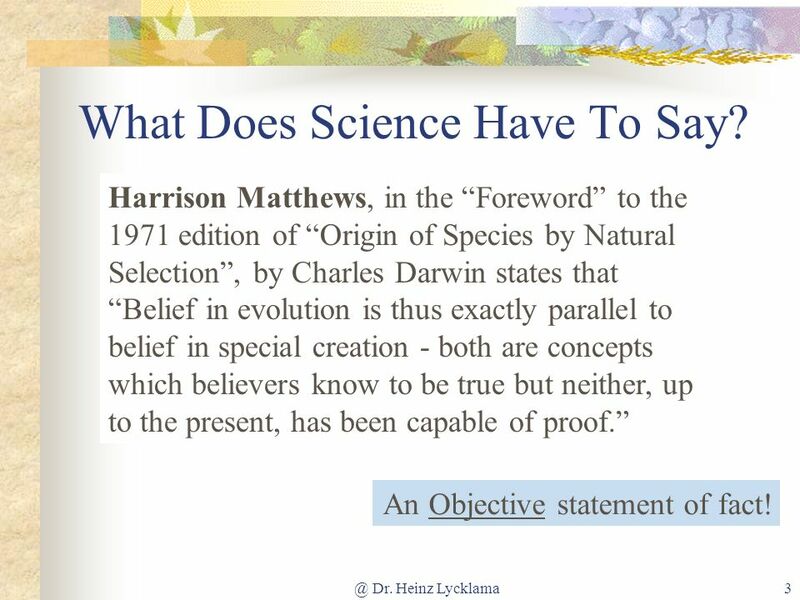 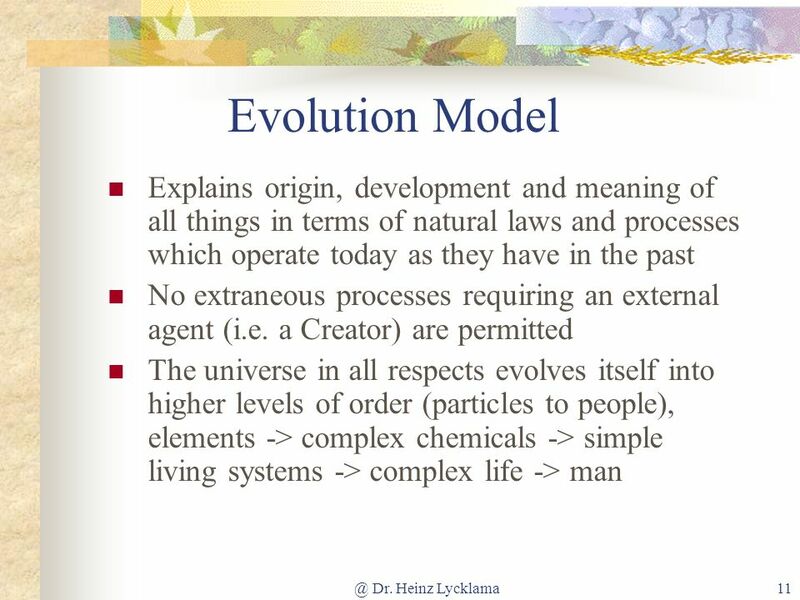 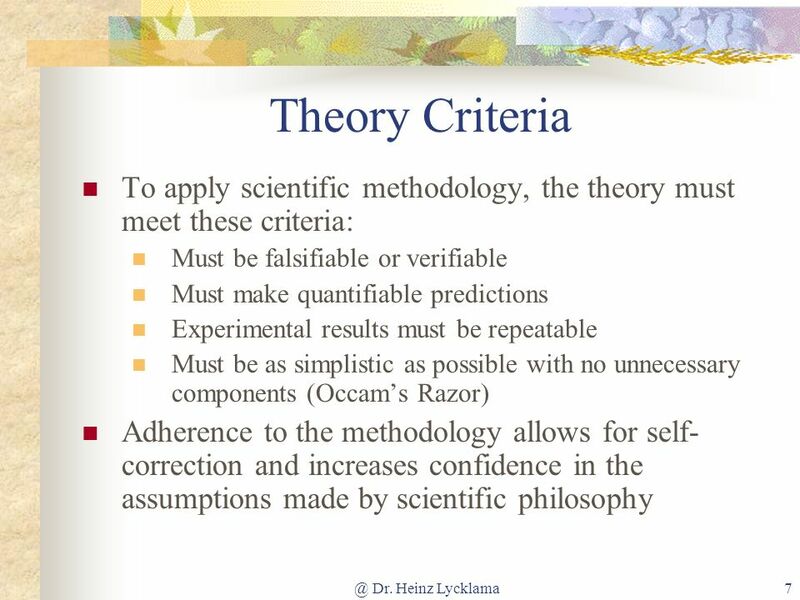 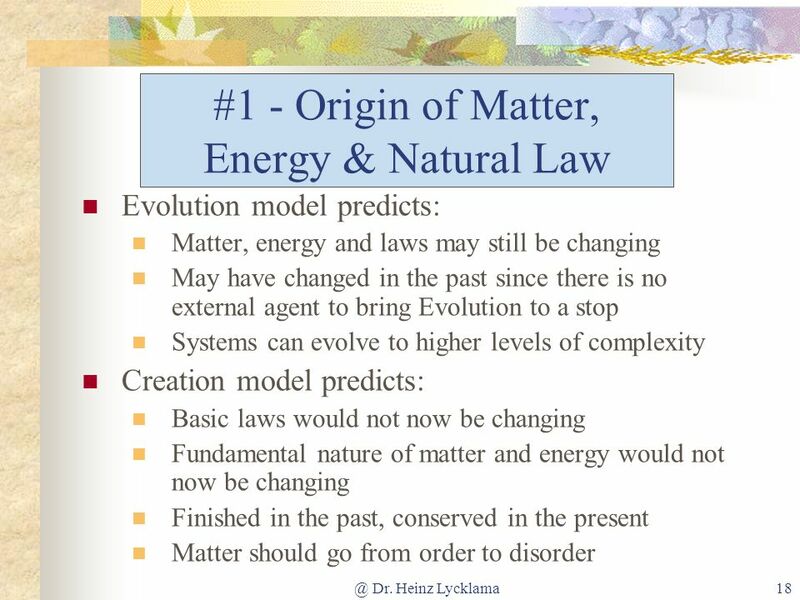 REFUTING EVOLUTION Evolutionary theory doesnt follow scientific method. 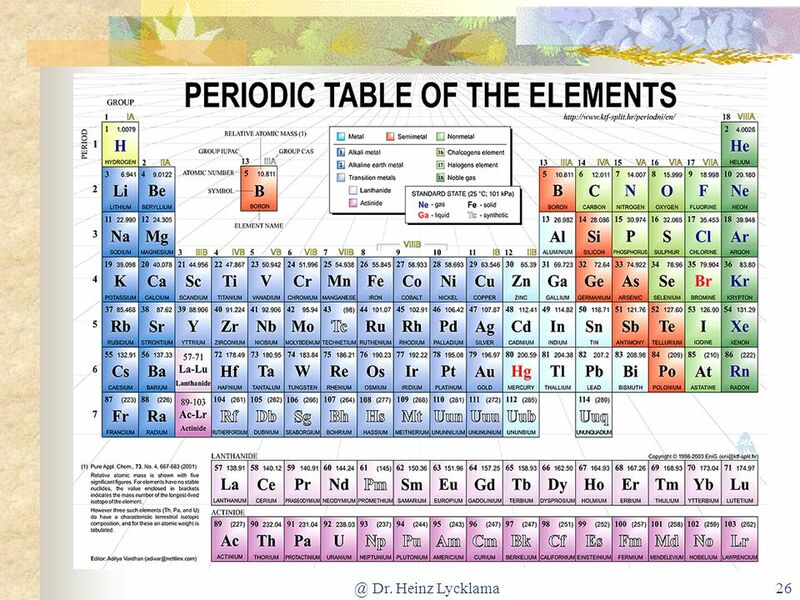 It is metascientific. 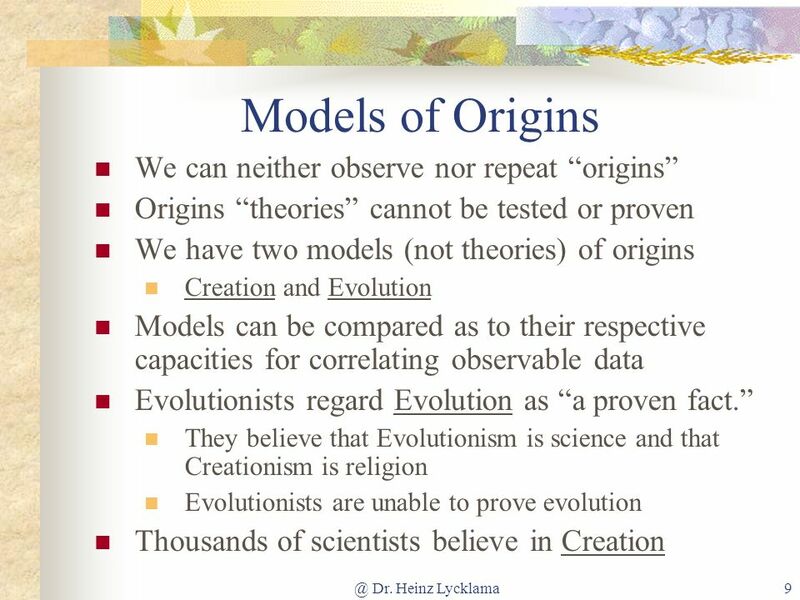 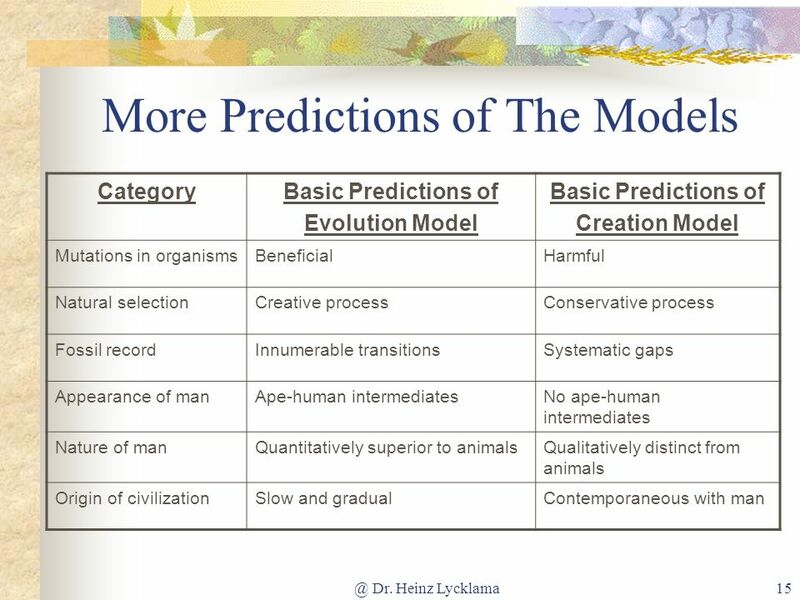 Evolution, if true, would violate established scientific.